Today, the Venezuelan government will lead talks with bondholders to try to restructure $60 billion of the country’s debt. The debt restructuring commission is led by Vice President Tareck El Aissami, who is sanctioned by the US for accusations of drug trafficking. Given the illegality of dealing with people who are officially sanctioned by the US government, it is unclear how many investors will show up. On Friday, the country’s national electric company, Corpoelec, defaulted on a $650 million bond. 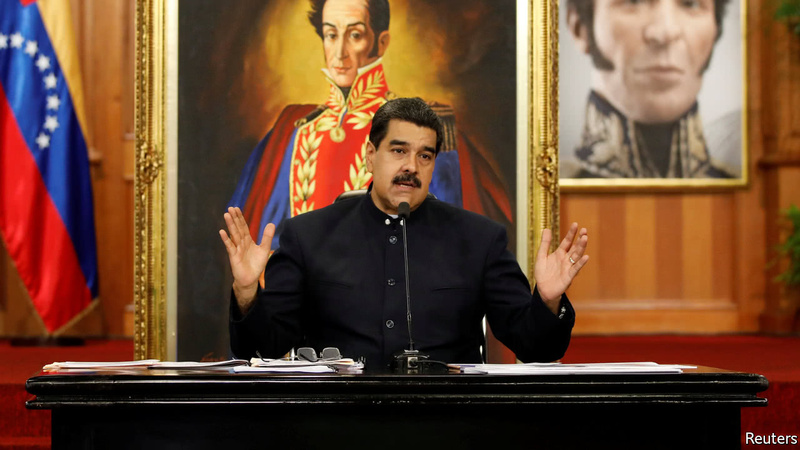 Some believe this could pave the way for the termination of Venezuela’s debt payments, which would be the largest default in history. Though President Nicolas Maduro has been persistent in his efforts to make payments to creditors, experts place the odds of a state default over the next five years at 99%. This would freeze Venezuelan assets overseas and deter creditors from investing in the impoverished country, exacerbating its humanitarian crisis. Though details of today’s talks remain unclear, they will likely dictate Caracas’ financial moves in the short-term.